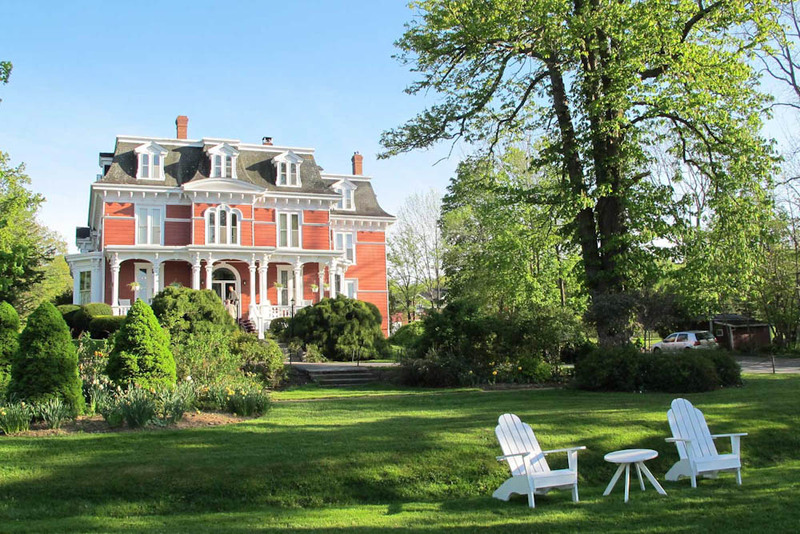 Blomidon Inn is a charming mansion in the town of Wolfville, Nova Scotia (photo: Jim Byers). Vancouver you probably know about. Ditto for Toronto and maybe Montreal. But there are dozens of interesting quirky towns in Canada that you definitely should check out on your next visit. Here are eight of former Toronto Star travel editor Jim Byers’ personal favourites. There’s a pretty downtown with a great book store called Ginger Press where they not only sell and publish books but also have a cafe. Harrison Park is in a beautiful valley sandwiched between two arms of the massive Niagara Escarpment, a ridge that runs 700-plus kilometres through Ontario and is a UNESCO-protected biosphere. The park offers pedal boats, camping, basketball and, in winter, ice skating. There’s also a lovely Black History Cairn in the park as Owen Sound marked the northernmost terminus of the Underground Railroad, which brought escaping slaves from the US to freedom in Canada. The Black History Cairn in Owen Sound, Ontario, is a moving tribute to the Underground Railway (photo: Jim Byers). Try the Saturday morning farmers’ market, too. Less than hour south of Calgary in pretty ranching country, you’ll find a wonderful craft distillery called Eau Claire. Part of the operation is located in the town’s former brothel, this being a hotspot for bootleggers and booze smugglers back in the days of Prohibition. They make several craft liquors, including one of the smoothest vodkas I’ve ever tried. Next door is the Chuck Wagon Cafe and Grill, with legendary burgers and a real Western/cowboy theme. This is a town you want to give a warm hug to; a tidy spot with one of Canada’s prettiest universities, Acadia. The university’s main hall sits atop a small hill as you enter the town from the west. The main street is only a couple blocks long, but there are cute restaurants and shops. The nearby Tangled Garden is a fine spot to admire floral displays and taste locally made herb jellies. In Wolfville, Luckett Vineyards sits on a hill with lovely views (photo: Scott Munn). Local wineries are getting better every year. Luckett Vineyards sits on a hill with lovely views. They also have a British-style phone booth in the middle of the vineyards, with free calls to anywhere in North America. Mom’s cafe serves a mouth-watering pie, it’s jam-packed with 50 apples in every pie, find it in Sooke, BC, Canada (photo: Jim Byers). Victoria, which is on the south end of Vancouver Island, gets less rain than Vancouver. Sooke, which is west of Victoria, gets less than Victoria. That makes this one of the driest, warmest spots in British Columbia in winter. It’s also a fun town that’s home to a great cafe called Mom’s, which makes apple pies the size of a Smart Car (they say they use up to 50 apples per pie) and a great coffee shop called The Stick in the Mud. Sooke Harbour House is a casual but elegant hotel on the water with one of the best restaurants in the country. They practically invented farm-to-table as a food concept in Canada, and the views out over the bay are terrific. The décor is Canadian chic mixed with European flair at Le Germain Hotel in Charlevoix, Canada (photo: Jim Byer). This is a lovely village east of Quebec City, nestled in part of a crater created when a monster-sized meteor hit millions of years ago. You’ll find a lovely village lined with cute shops and some pretty wild art, Quebec not being known for its conservative nature. Le Germain Charlevoix (Charlevoix being the name of the overall area) is a fantastic hotel on land that used to be one of Canada’s largest farms. 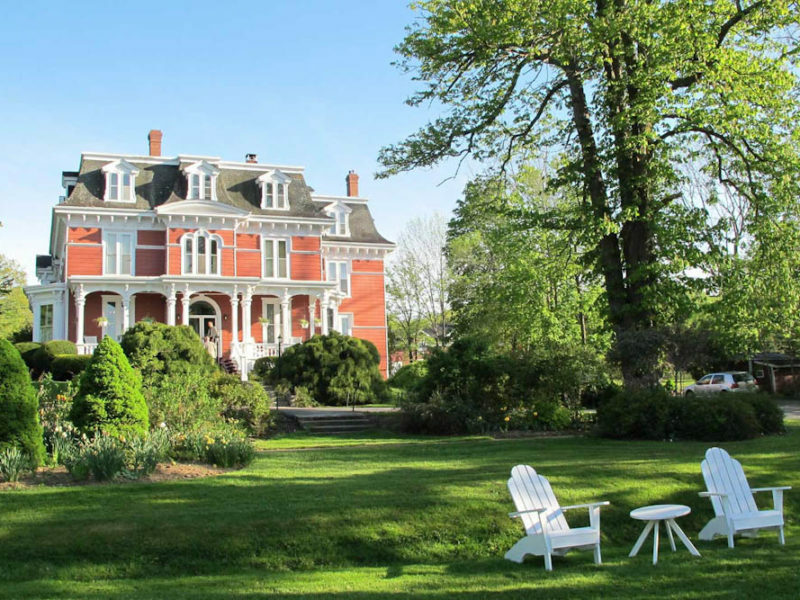 Le Germain is a hotel in Charlevoix, it’s built on land that used to be one of Canada’s largest farms (photo: Groupe Germain Hotels). The food is sublime, even for the high standards of Quebec, and rooms are done in a variety of styles with nods to the agricultural history of the area and plenty of European design flair. You can skate on the natural rink or soak in hot tubs in winter. In summer, try cycling or whale-watching on the St. Lawrence River. Many tourists flock to Charlottetown, the capital of PEI, or to Cavendish to see Anne of Green Gables country. But Summerside is a fun town of its own with a pretty waterfront. Norman Zeledon is the owner of the food truck The Gallery, he whips up tasty fare, find him in Summerside, Prince Edward Island (photo: Jim Byers). The Galley is a fine food truck run by a fellow from Nicaragua named Norman Zeledon, who can whip up everything from slow-cooked porchetta to Salvadoran slaw to Mennonite-style pickle soup. Holman’s ice-creamery is in a lovely, historic home with a pretty garden and wonderful ice-cream (try the lemon-blueberry). Not far from Summerside are the famous Bottle Houses of PEI: a series of buildings (including a chapel) fashioned from more than 25,000 empty bottles. Steel Style Garage sells clothes in Gananoque, Ontario (photo: Jim Byers). This pretty town in Eastern Ontario sits on a river that flows into the mighty St. Lawrence and is known as the gateway to the Thousand Islands – a series of 1,700-plus (someone counted) islands and islets that dot the St. Lawrence, many in Canada but some in the US. Tour boats can take you on educational tours, with tales of piracy, rum-runners and War of 1812 heroes (on both sides of the border). The town has a great brewpub and a restaurant/coffee shop called The Socialist Pig, where members who buy several coffees are known as ‘card-carrying Socialists’. Nearby Kingston is a fine city of its own. The magnificent Gros Morne National Park (photo: Newfoundland and Labrador Tourism). Gros Morne is more of a region than a city, but it’s a marvellous part of Newfoundland. Woody Point is a small community on beautiful Bonne Bay that hosts an annual writers’ festival. The event attracts many of Canada’s top authors and also entertainers. You can take lovely sea kayak rides around Bonne Bay and perhaps encounter whales or other sea life. Nearby Gros Morne National Park is one of the prettiest areas of Canada, with boats that will take you up a deep, water-filled chasm that’s technically not a fjord but looks very much like one. Anchors Aweigh is a local band that puts on rollicking, entertaining shows. When I went, they had a rubber-faced guy playing the accordion while dressed in women’s clothing. The band’s leader introduced him as ‘Canada’s best cross-dressing accordion player’ – nothing if not specialised.